Welcome to Palm Springs and the Desert Cities. Jerry Shea and his Palm Springs Real Estate team represent home buyers and sellers in the beautiful desert oasis known as the Coachella Valley. The Coachella Valley, which is commonly referred to as "Palm Springs", "Palm Desert", or simply "the Desert", is one of the fastest growing regions in the world. With gorgeous year-round sunshine, crystal blue skies, stunning landscape and palm tree lined streets, it is no surprise that the Palm Springs area is one of the most preferred travel destinations in the world. There’s truly something for everyone in the Desert. From internationally recognized golf courses, tennis tournaments and polo events, to art, film and music festivals, the Coachella Valley has entertainment for all ages. You’ll find something a little different in each of the nine Desert cities: Palm Springs, Cathedral City, Rancho Mirage, Palm Desert, Indian Wells, La Quinta, Indio, Coachella, and Desert Hot Springs. Affordable housing, country club living, condominiums, Mid-Century architecture and Desert Modern-design, and luxury, high-end estates are just a few examples of the diverse selection of real estate available here. If you’re thinking of purchasing a home in the Palm Springs area, you’ll find a wealth of helpful information right here at JerryShea.com. Jerry, one of the most respected real estate agents in the region, brings over 25 years of real estate expertise to home buyers and sellers. 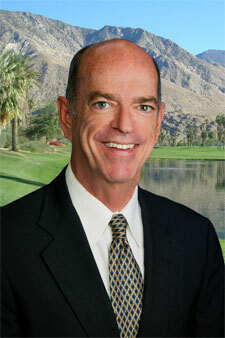 Let him help guide you through Palm Springs and the other Desert Cities to find you the perfect property.